Posts in this section feature some of Jen's favorites - from blogs to books to kitchen equipment. 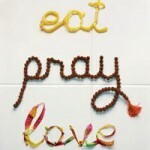 Note that the blog section hasn't been updated in quite a while.... stay tuned for updates in a few weeks! 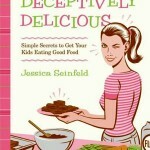 Deceptively Delicious is filled with traditional recipes that kids love, except they’re stealthily packed with veggies so kids don’t even know! She also provides revealing and humorous personal anecdotes, tear-out shopping guides to help parents zoom through the supermarket, and tips on how to deal with the kid that ‘must have’ the latest sugar bomb cereal. 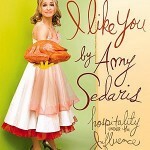 At first glance, it appears to be just a parody of a dated entertaining guide, however Amy actually provides us with real, tasty – albeit quirky – recipes from the 70’s that bring back plenty of memories for me. I watched Aunts, Uncles, and friends show up at family functions with plates of classic all-American wonders! As a professional and home-cook, I have come to appreciate the following utensils and appliances – they make life in the kitchen so much more convenient, and help to save time. Quality, not quantity should be your guide. 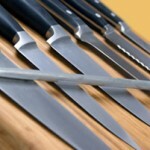 A well-made set of 3-4 knives is plenty for a beginner or intermediate home cook. If you want to splurge, by all means check out Korin’s astounding knife collection. A great summer read, but an even better travel read, her tales of dark-eyed men, wise gurus, and breathtaking sites will have you grinning. Did she leave anything out? Certainly not the tongue and cheek humor of a smart and happening lady who has experienced tough times yet loved deeply. What Knives Should You Buy? Every kitchen should have at least three knives: The chef’s knife, a serrated knife, and a paring knife. The chef’s knife, usually 8-10 inches long, is the knife I use every day and the workhorse in anyone’s kitchen. It is used for chopping, slicing and dicing, basically it’s the all-purpose knife. Is it really so important to be nice? Linda and Robin share the ‘hows’ and ‘whys’ of success. You’ll love their inspirational personal stories, surprising research from famous physiologists and socialists, and the use of plain common sense – their trademark. 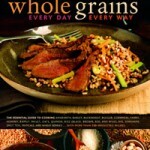 Lorna Sass has written an exciting book on grains that will appeal to anyone, meat-eating, vegetarian, vegan. Ideal for the home cook who wants to learn more about whole grains, its easy, time-saving recipes will become a valued resource in your kitchen.